Researchers at the University of California, Riverside and the University of Southern Queensland have identified more than 100 giant exoplanets that could potentially host moons capable of supporting life. The researcher's work will aid feature telescope endeavours in their detection for these potential moons and biosignatures within their atmospheres. 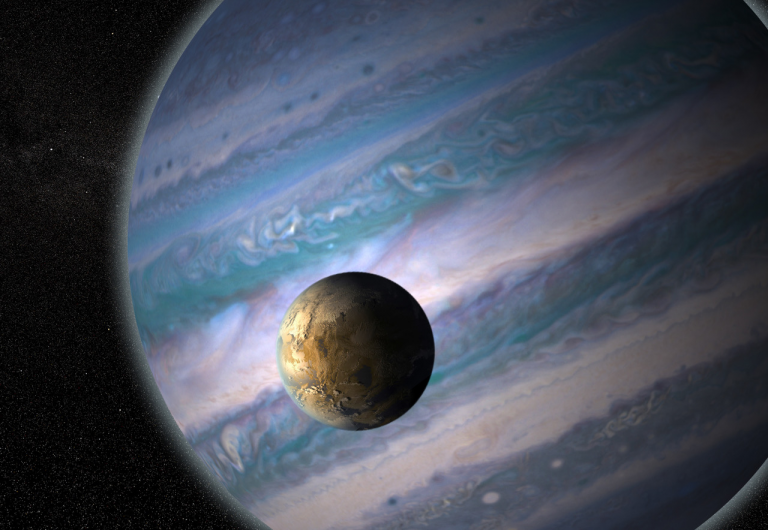 The researchers identified 121 gas giants that orbit within the habitable zones of their stars. At more than three times the radii of the Earth, these planets are less common than their terrestrial counterparts, but each is expected to host several moons. Exomoons have been speculated to be favourable environments for life because they receive energy not only from their star, but from the radiation from their planet. “Now that we have created a database of the known giant planets in the habitable zone of their star, observations of the best candidates for hosting potential exomoons will be made to help refine the expected exomoon properties. Our follow-up studies will help inform future telescope design so that we can detect these moons, study their properties, and look for signs of life,” said Michelle Hill, an undergraduate student at the University of Southern Queensland.